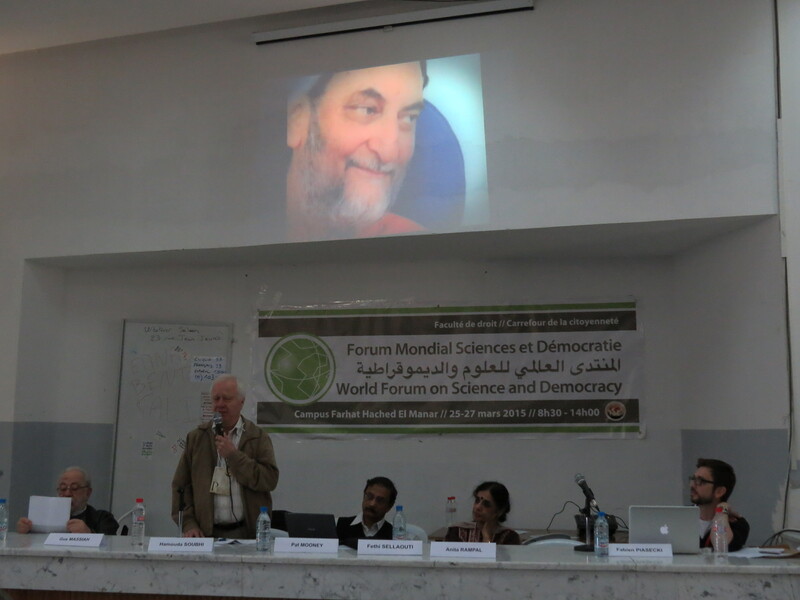 This session was dedicated to the Indian scientist and activist Vinod Raina. Vinod was a key figure of the alter-globalization movement. He left us a few months after the 3rd WFSD. He was involved in many movements and he participated to the emergence of the World Social Forum and of the World Forum on Science and Democracy. His commitments for peace, science, education, food sovereignty, support to victims of development, human rights guide this opening session thanks to the testimonies of his friends. 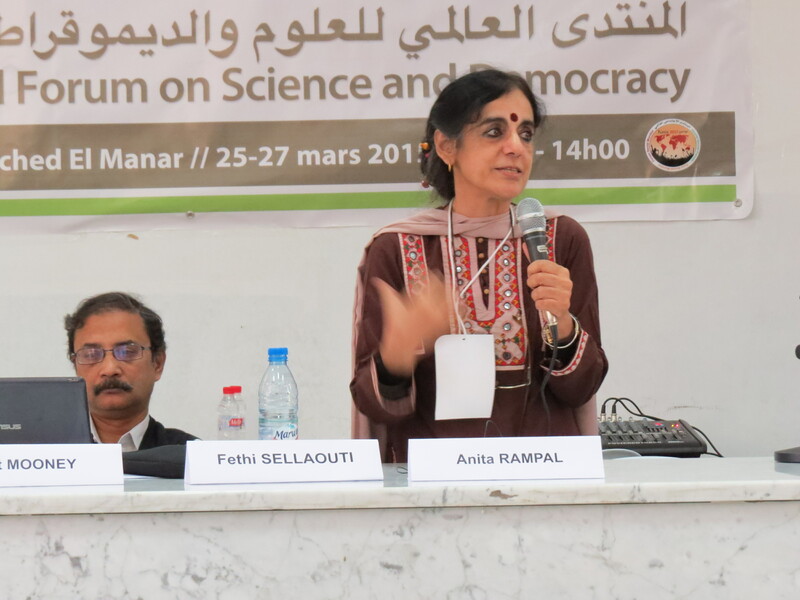 The speakers were, in order of speaking, Fethi Sellaouti (Université de Tunis El Manar, Tunisie), Fabien Piasecki (Forum Mondial Sciences et Démocratie, Fondation Sciences Citoyennes, France), Anita Rampal (BGVS, India), Gustave Massiah (IPAM, Conseil International du FSM, France), Pat Mooney (ETC Group, Canada), and Amit Sengupta (AIPSN, India).